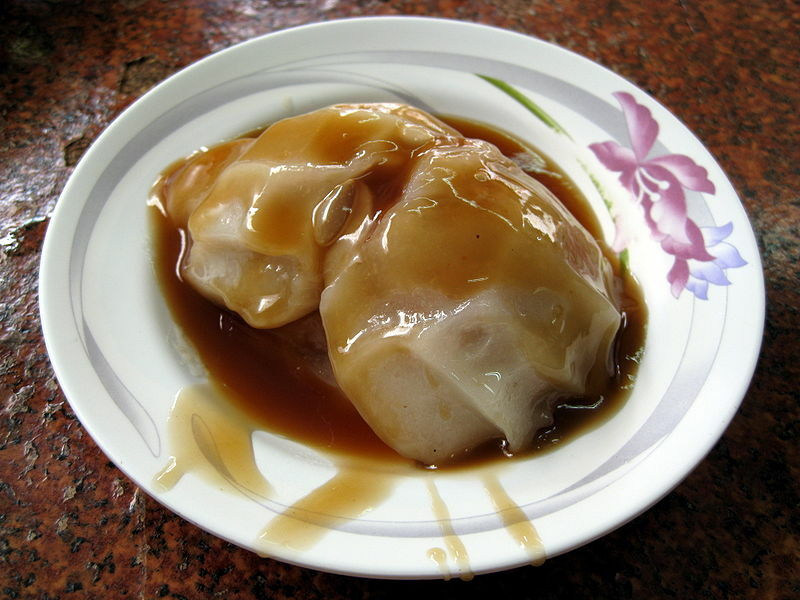 Ba-wan (literally "meat circle") is a Taiwanese snack food, consisting of a 6-8 cm diameter disk-shaped translucent dough filled with a savory stuffing and served with a sweet and savory sauce. The stuffing varies widely according to different regions in Taiwan, but usually consists of a mixture of pork, bamboo shoots, and shiitake mushrooms. Left: Changhua-style ba-wan with sweet sauce and grated daikon radish. Changhua-style ba-wan is considered to be the "standard" ba-wan as it is the most famous and most widely imitated of all styles of ba-wan. The gelatinous dough is made of a combination of corn starch, sweet potato starch, and rice flour, which gives it its chewy, sticky, and gelatinous texture and a greyish translucent hue. 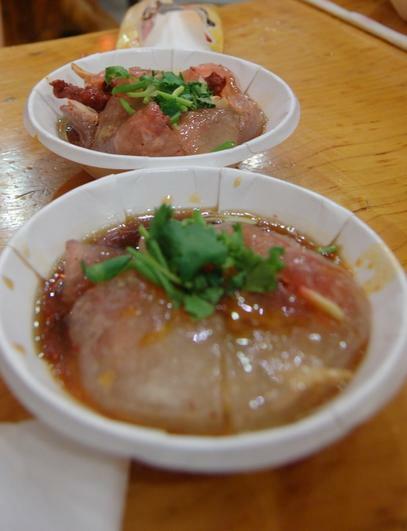 Ba-wan are initially cooked by steaming; however, they may also be served after being deep fried to give them a "skin" or gently poached in oil to heat them without drying them out.